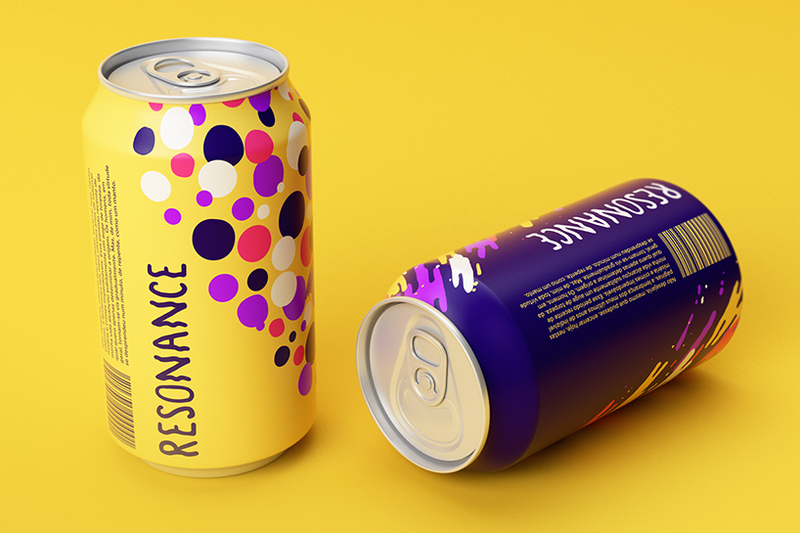 for a fictional soda drink called ‘resonance’, lucas wakamatsu has designed the graphics and packaging for four unique cans. 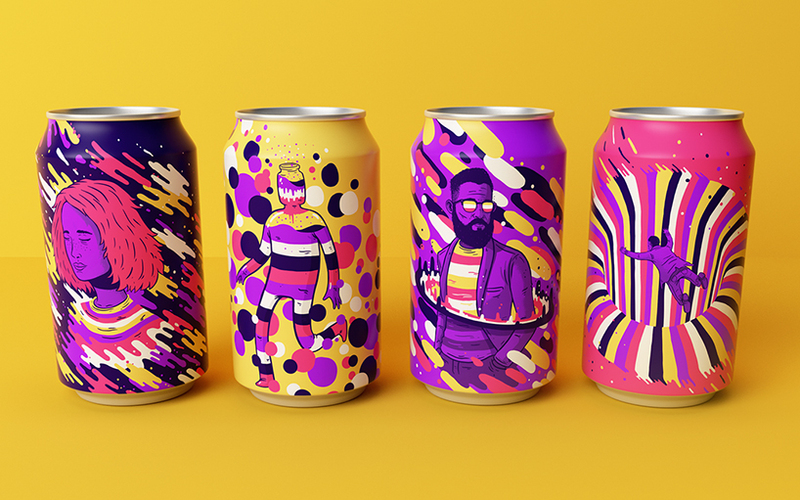 illustrating kaleidoscopic compositions on otherwise simply branded goods, the brazilian artist turns ordinarily drab drinking vessels into colorful and creative containers worth collecting. 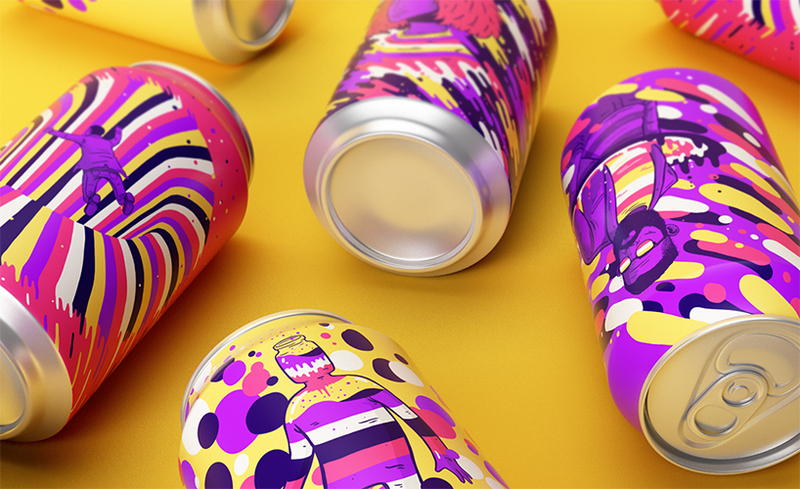 wakamatsu, a designer from brazil, created four ‘sensations’ to subtly indicate the different flavors of the soda inside. 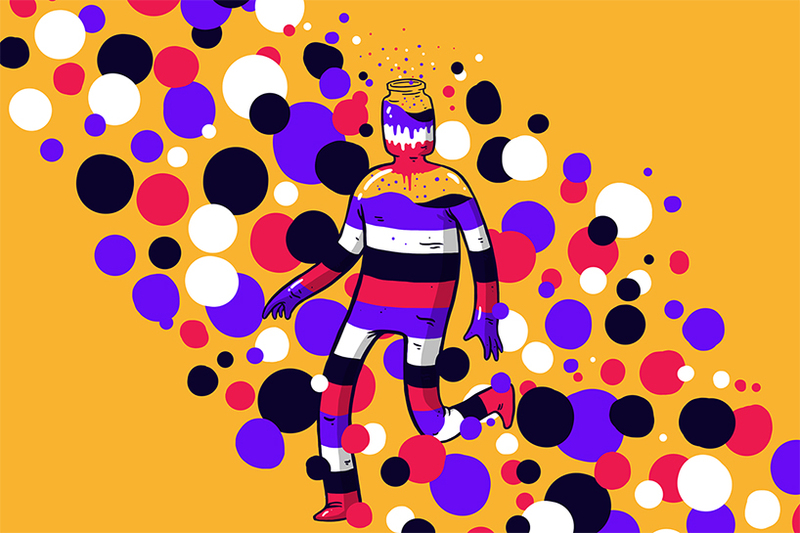 drawn on one, a figure jumps through a multicolored wormhole that leads to an unknown abyss; another sees a hybrid-human surrounded by pink and purple polka dots; a third sees a female figure clouded in a fog of colorful and abstract shapes; and a final male illustration is encircled in planetary-like rings and enveloped by ameba-esque geometries. 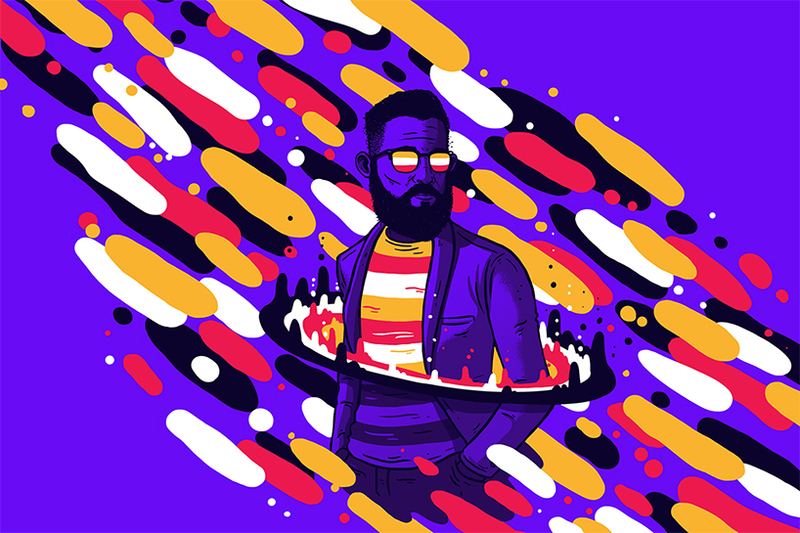 ‘the colorful forms in each one represent the beverage, pulsing in different vibes, being shaped by different frequencies,’ he describes. 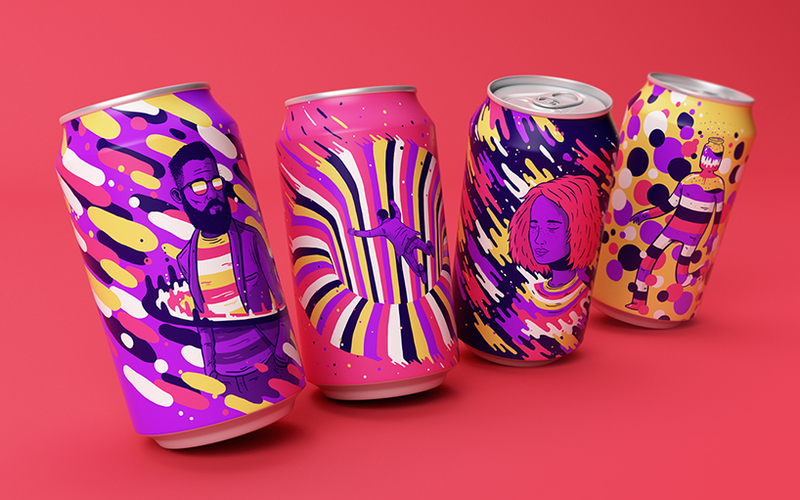 a series of animated gifs give life to the static imagery, adding an alternate and dynamic dimension to traditional packaging design projects.